Graduating seniors wave to their family members as they walk onto Ryan Field on Friday morning. 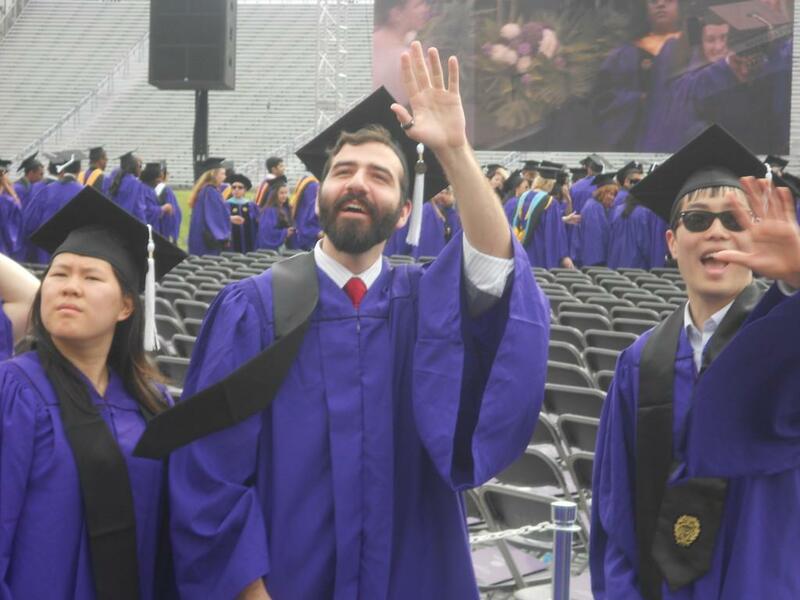 More than 12,000 people attended Northwestern's 155th commencement ceremony, according to University officials. Ballet virtuoso Mikhail Baryshnikov challenged the class of 2013 this morning to think of success on its own terms as it sets out into the post-graduate world. Speaking at Northwestern’s 155th commencement ceremony, Baryshnikov stressed NU’s new alumni “don’t have to be brilliant 24/7” but should continue to pose tough, often unanswerable, questions about their surroundings and who they are. Read more about Baryshnikov’s commencement address here.